Do you know Saul Alinsky? He was a mentor for many liberal politicians of our time — including Barack Obama and Hillary Clinton. Alinsky was a radical Marxist strategist and community organizer. His leading weapons were weapons of mass distraction: misinformation, radical protest and blaming the other guy for whatever you (the liberal politician or activist) are guilty of. Alinsky actually counseled radical leftists to look in the mirror and, whatever you see, blame the other guy for doing or being that exact same thing. So if you’ve ruined the economy, blame your opponent for ruining the economy. And if you’re in bed with Russia, blame the other guy for being in “collusion” with Russia. It’s all playing out in front of our very eyes. First, of course, is the economy. Liberals insist Obama did a great job. They live by a combination of fake news, outright lies and delusion. Just this week, a liberal Review-Journal reader sent me hate mail claiming I’m lying when I argue Donald Trump’s economy is booming and better than Obama’s. He actually stated that in Obama’s final year, gross domestic product hit 3.2 percent. Fact. Obama is the only president in America’s history to never once in eight years reach 3 percent annual GDP (economic growth). Fact. In Obama’s final year, growth was 1.6 percent. President Trump took over an economy in misery, malaise and despair. Obama’s economy was a disaster. Trump has created a prosperous economy. Who says? Not Wayne Root. Try the Federal Reserve. Contrast that to the Obama years. In eight long years of Obama, as liberals claimed the economy was doing wonderfully, the scared-to-death Fed raised interest rates once by a ¼ point. Under Trump, the Fed has raised interest rates five times in less than two years with two more increases expected this year alone. Facts matter. With Trump in charge, the Fed is scared to death things are too good, jobs are too plentiful and the economy is growing too fast. The Deep State, the D.C. Swamp and the establishment of both parties are all in a panic. Trump is making America great again — just as he promised. He destroyed ISIS. He appears to have won a victory with North Korea. He just hounded NATO into contributing $33 billion more for defense. And to top it off, he appears to have made friends with Vladimir Putin and Russia. But Trump’s critics are freaking out. Now he’s “a traitor” for becoming too friendly with Russia. In fact, Hillary is the one who colluded with Russians. Once when selling one-fifth of America’s uranium stock in return for $140 million in donations to the Clinton Foundation. And again when she paid millions to Russians for a fake dossier to frame Trump. Guess who else is in big trouble? Obama was the one in charge while all this was going on. FBI lawyer Lisa Page implicated Obama in this massive Russian scandal and this clear attempt by FBI insiders to fix the election for Hillary. 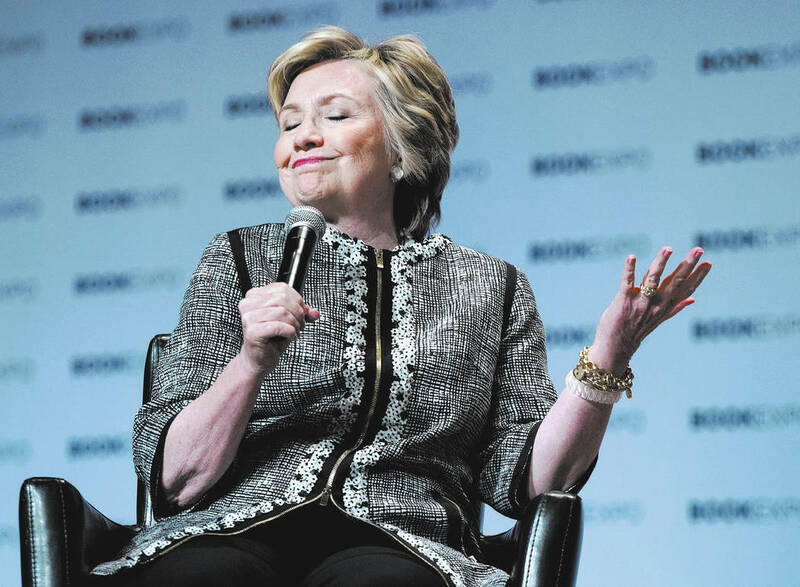 Hillary looked in the mirror and saw her own criminal Russian collusion. So she made up a story and blamed Trump. The CIA, FBI and Department of Justice were desperate to help, because they are all implicated in the crimes of Hillary and Obama. Saul Alinsky would be proud.